Your 2018 1040 tax return will look very different than years past. With the passing of the Jobs and Tax Act back in 2017, the Internal Revenue Service is experiencing the most substantial changes to the tax code in over 30 years. These changes include edits to many of the forms you may be familiar with. 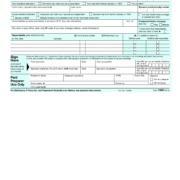 The basic 1040 form will have a lot of changes on the first page. The new 2018 tax form looks like a postcard. It only has your filing information, such as name, address, filing status, dependents, etc. What it will not have is any of your income information on the first page. As you can see here it looks very different. The second page of the basic 1040 has most of your income information as well your standard deduction and tax credits. The main difference on the second page of the 2018 tax form is that a lot of the “other” income and adjustments to income are not listed. Those will now be on the Schedule 1. Business income is reported on the Schedule 1, as well as certain adjustments to income like IRA Deduction, Student Loan Interest, Health Savings Account deduction, and many more. Many people use free online software to file taxes; the majority of those who use Turbotax will be in for a surprise if they need to include a Schedule 1. Turbotax is charging individual taxpayers for this additional schedule. H&R Block is not charging for Schedule 1. So if you have been using tax software online to do your taxes, make sure to look into this so that you do not get surprised by additional fees from these online software companies. Comparing the various programs out there could save you some money. Those with self-employment income, such as any 1099 income, will still have a Schedule C to fill out and report on your 1040. Other additional attachments will also be included. The real difference is the attempt by Congress to eliminate the Schedule A deduction for most people. By raising the standard deduction and capping some itemized deductions (including eliminating some all together) they wanted to simplify the 1040 return. If you are seeing that you owe for the first time (or even for the 10th time), it is important to understand you have options. Regardless of when you file your return, any balance owed on your 2018 taxes must be paid by April 15, 2019 to avoid failure to pay penalties. This means, even if you file your return in March, you would have a little bit of time to get money together. If you think filing an extension will help, you are out of luck. An extension is only an extension to file, not an extension to pay. Regardless, the balance is still due April 15 and if you pay after that date, even with a valid extension, you will be subject to penalties and interest. If you owe more than you can feasible pay over a couple months, then you likely need to set up a payment arrangement. The IRS has multiple options that vary depending on your situation. A tax resolution payment plans are agreements direct with the IRS, which allow you to structure payment over time. These plans vary depending on your income and financial situations. Some plans can be as low as $0 per month, if the IRS determines you fall into the category of currently non-collectible. This means that you do not have any disposable income under their standards. Other plans will structure the balance over six years to allow for more reasonable payments. If you owe, it is also important to determine how not to owe again in the future.For balances of only a couple hundred dollars, then adjusting your withholding to withhold $20.00 to $50.00 more a month, will likely solve the problem. If the balance is substantially more, you may need an analysis to figure out why there is a problem and what can be done to solve it. Arthur Rosatti, Esq. is a licensed attorney authorized to represent clients with the Internal Revenue Service and the U.S. Tax Court. He has experience negotiating with various taxing agencies on behalf of individuals and companies. If you have concerns about your tax liabilities, making estimated tax payments, or correcting your withholding, schedule an appointment with our office. 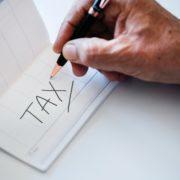 It is important at the end of the year to start thinking about next year’s tax situation. While it is likely too late in the year to fix any issues you had in 2018 with your withholding or estimated tax payments; but it is never too early to get your situation fixed going into 2019. If you are expecting similar income in 2019 compared to what you have earned in 2018 then you have a good starting point in determining what you need to do with your 2019 tax payments. Going online to a withholding calculator, like the one the Internal Revenue Service offers, right now can show you what type of refund or balance you can expect for your 2018 tax return. Usually, it is not as in depth as going to accountant to get your taxes prepared; but, it can give you a good estimate as to what you are looking for. If you are showing a major refund that is good news. There are two ways to go with this information for 2019. You can either keep things as they are and likely get another refund in 2020 for your 2019 tax year. You could also change your withholding to lower what your refund would be; but, you would see the money in your paycheck every pay period. Just make sure to be careful you are not expecting a change to your 2019 taxes, such as no longer being able to claim a child or decrease in mortgage interest from selling a home (and not purchasing a new one). A lot of people love getting all that money back in the spring time. Some use it as a vacation fund that they cannot touch (because the money stays with the government until you file your return). Others use their refund to pay off those holiday season credit card bills. Still others use their refunds as a way to get that big-ticket purchase that they have been putting off. Others will look at getting a huge refund and think, why should the government get to hold my money during the year? They can use a withholding calculator to determine the minimum that they would have to pay in during the year to maximize how much they take home every pay period. Most calculators will advise you to withhold at a level that keeps your withholding at the point where you either get a $100.00 refund or will owe $100.00. People can use that extra money each pay period to catch upon bills throughout the year, start saving for a vacation, or starting a retirement account. One reason why putting the money into a long term investment is a good idea is that it can help with lower your total taxable liability for that year. It can also get rid of the temptation to dive into that fund for random things through the year. This goes back to people who don’t mind having the government hold onto the over withholding, it serves has a no interest savings account that they cannot access. In order to get that savings account back you must file your return. You are only entitled to the three most recent years of refunds, if you do not file on time. On the other side, are those who have not been withholding enough taxes throughout the year. Those individuals need to make the proper corrections so that they do not continue to owe taxes year after year. The biggest issue most people have once they owe for one year is that they do not take the necessary steps to correct the underlining issue and the taxes owed for previous years can snowball on them to the point they do not know what to do. If you are expecting to owe for 2018, first thing to do is to figure out the issue that is causing you to owe. One common problem is under-withholding from your wages is causing the problem. If this is the issue, then provide an updated W4 form to your employer as soon as possible so that your withholding can be in the proper place at the start of the new year. Another one of the most common problems we see are self-employed individuals that did not make enough estimated tax payments for 2018. If this applies to you, then you need to start preparing for 2019 taxes now. The first step would be to develop a business budget tracker. Most self-employed individuals just do not keep good records of what is a business expense and what is a personal expense. Keep these records can help determine what your actual net income is. Your net income is the key factor in determining what your tax liability is. 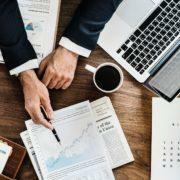 If you keep a solid spreadsheet of your gross income minus business expenses you can then figure out how much of your net income should be set aside to make quarterly estimated tax payments. The IRS requires that if you owe more than $1,000.00 in self-employment tax for one year, the next year you are required to make estimated tax payments. If you do not make those payments during the year, when you go file your return, and there is another balance, you may have additional penalties for not pre-paying your tax. We try to advise self-employed clients to look very closely at their business and personal budgets to figure out where they can make up the difference to pay their taxes going forward. For many, it’s a lot of tough decisions on their personal side. You often have to make the conscientious effort to set aside the potential tax payment every month or quarter. For others, they realize that being self-employed is too much of a hassle and go find work as a wage earner. It is possible to be self-employed, make good money, and be responsible with your tax obligation. It isn’t the easiest thing, but it can be done. Owing taxes may not seem like a big deal. Tax debt is not immediately reported on your credit and the IRS seems to only send collection letters. While it is true, the Internal Revenue Service (IRS) is not usually aggressive the first year you owe traditional income taxes, the IRS can ramp up collection efforts and be very aggressive if they are not satisfied you are trying to pay back the debt and/or get current going forward. While not a direct action against your wages or bank account, a tax lien can have a more lasting impact on your life. They are public record and can be reported to your credit report. You can see a credit hit of more than 50 points from a federal tax lien. They attach to all property whether real or personal. The IRS rarely goes after personal property, unless you are living a lavish lifestyle. They will go after real property, especially if it is not your primary place of residence. The lien is the way they have the right to take more aggressive action. A wage levy is a headache that nobody wants to deal with. The IRS has a chart that they use to determine how much of your paycheck is exempt from levy. It is not a favorable chart for the taxpayer. If you are paid hourly or salary you could see as much as 85% of your pay seized every pay period. If you are an independent contractor who is paid via 1099 you could lose 100% of your income if a levy is issued to your source of income. This affects truck drivers more than most. Also, if you own your own business the IRS can go after accounts receivable with a levy. Wage levies stay in place for wage earners until the tax debt balance is paid or the taxpayer takes the necessary steps to get it removed, typically agreeing to an installment agreement with the IRS. Even if the IRS does not go after your wages directly, they can still get your income via a bank levy. The IRS can send notices to any financial institution that you may be banking with. The institution then will set aside whatever funds are in your accounts at the time the bank receives the levy for 30 days. After 30 days the bank will release those funds to the IRS if they have not received a levy release directly from the IRS. Even with those funds frozen you can still use your account with any additional money that gets deposited during the 30 day hold. If you have previously gotten refunds from the IRS and gave them banking information for direct deposit of the refund, the IRS will go after that bank first if you owe debt in the future. Investment accounts that are levied go through the same 30 day hold on the account before funds are send to the IRS. The major thing to remember here is that when those funds are sent to the IRS that creates a taxable event on most retirement accounts. So the taxpayer who has an investment account levied by the IRS, then gets hit with another tax liability because the IRS does not let you choose to withhold any of the investment funds for tax purposes. The most recent attempt to force people into handling their tax situation is the suspension of passports. Congress passed a law that allows the IRS to tell the Department of State when a taxpayer is seriously delinquent with their tax debt. Anyone with more than $51,000 in back taxes, who has not taken steps to pay back the debt, could be subject to their passports being suspended. If you do not have a passport your social security number could still be sent to the Department of State and you will be denied a passport should you apply for one. The IRS started implementing this in 2018 and some taxpayers are seeing their passports being suspended. There are ways to get your account back in good standing with the IRS. Two most common ways are: 1) an installment agreement to pay back the debt over time or 2) having an offer in compromise accepted, not just filed. The IRS will not simply remove the passport hold because a taxpayer pays their debt below the $51,000 threshold. The taxpayer has to get into an agreement to repay the balances. Arthur Rosatti, Esq. is a Florida licensed attorney authorized to represent clients with the Internal Revenue Service and the U.S. Tax Court. He has experience negotiating with various taxing agencies on behalf of individuals and companies. His goal with their tax debt and get them into the best plan possible to manage the debt. If you have concerns about your tax liabilities, schedule an appointment with our office. Take a look at the first video in our video series about setting up your new business. It is important to set up your business properly; your business structure will dictate what protections you do or do not have. There can be legal and tax consequences to the way you start your business. It is important to understand all your options. The most common forms of business are the sole proprietorship, partnership, corporation, and S corporation. A Limited Liability Company (LLC) is a business structure allowed by state statute. If you choose an LLC, you must also inform the Internal Revenue Service on how you want to be taxed. If you are a sole owner, you have two options: as a sole proprietorship (listed on a Schedule C) or S-Corp. If you have multiple owners, your only option is usually as an S-Corp. There are pros and cons to each type of taxation; you should talk to a tax and legal professionals before deciding on how to set up your business. Additionally, most individuals set up a business structure to ensure protection for personal liability. In order to get these protections, you must make sure you are following corporate formalities, such as separate bank accounts, accounting, operating agreement. Even if you are a sole owner, you must have an operating agreement that dictates how decisions for the company must be made. Legal protections only continue to exist when formalities exist; otherwise, the courts will see the business as just an extension of the owner(s) and not a separate entity. If you are considering getting divorced, you must speak with a divorce attorney immediately. There may be potential tax consequences of divorce. During what could be the most trying part of one’s life, it may be hard to think about how getting a divorce can affect your taxes. There are many things that a person who is attempting to finalize a divorce this year has to think about. First, let’s take an example of where there is no tax debt in the relationship. This allows the couple to only have to worry about one major thing about taxes moving forward: alimony payments or spousal support. 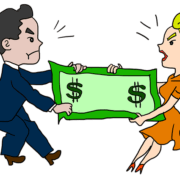 In the past, alimony payments made by one spouse was a tax write off, while the spouse that received the payments had to pay a tax on the amount of alimony received. This law was changed with the passing of the Tax Cut and Jobs Act of 2017. The new law said that starting in 2019, alimony payment will no longer be a tax deduction for those making the payments and those receiving the payments will no longer have to claim the payments as income. Importantly, one can get “grandfathered” in to the old system if they finalize their divorce in 2018. What that this new law essentially means that if spouses finalize their divorce in 2018, the alimony payments fall under the old law; this allows a tax deduction for the spouse making payments and requires the spouse receiving the payments report the payment as income. As long as your divorce is final before January 1, 2019 – and if Congress doesn’t change the provision again – the payments will be deductible for the payer and taxable for the payee for the life of the existing agreement. However, if you or your spouse modify your agreement in the future, the new laws would control; thus, resulting in change in the tax liabilities. It is important that couples that are going through divorce understand this change in the law. One spouse may try to drag things out to 2019 while the other will want to finalize in 2018. This change is law has resulted in many contentious divorces during 2018. If you have a divorce attorney, please do not hesitate to have them discuss this provision with a tax professional; this helps ensure they can draft the settlement properly and know your exact tax consequences of divorce . Second, the more cantankerous situation during a divorce occurs when there is debt owed jointly between the two spouses when the divorce is finalized. 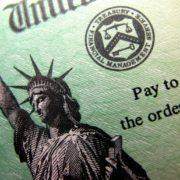 It is even more difficult to manage joint tax debt. The first thing figure out in a divorce is who is responsible for repayment of the debt. Keep in mind that the Internal Revenue Service does not honor what the divorce decree says. The divorce decree only affects the rights of the spouses; it cannot alter the rights of third parties. For example, if the divorce decree states that one spouse must pay the joint debt, the IRS can and will go after both spouses for the debt after a divorce. With that in mind, for the spouse that is not responsible for repaying the debt in the divorce decree, it is important to have language in the decree/property settlement agreement that gives that spouse the right to reimbursement of any money that goes towards the outstanding tax liability; whether it is future tax refunds, payments as part of a repayment plan, or levy/garnishment payments. Arthur Rosatti, Esq. is a Florida licensed attorney authorized to represent clients with the Internal Revenue Service and the U.S. Tax Court. He has experience negotiating with various taxing agencies on behalf of individuals and companies. His goal with their tax debt and get them into the best plan possible to manage the debt. He has experience dealing with divorce spouses dealing with their joint tax debt. 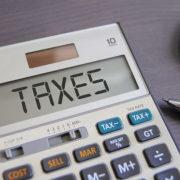 If you have concerns about your tax liabilities, schedule an appointment with our office. Being married comes with the allure of additional tax benefits. With the passage of the new tax bill at the end of 2017, married couples who file a joint return can take advantage of a $24,000 standard deduction. This can help many couple who never itemized their returns in the past. However, you do lose your individual exemptions with the new law. Overall, the new tax bill was supposed to make filing your taxes easier; the law attempts to eliminate the number of people who would qualify to itemize on their taxes. However, the new law does not change the possibility of couples incurring tax debt. However, trouble arises when during the course of the marriage the couple, or either spouse in a community property state, ends up with a tax debt. From that point, many different scenarios can happen whether the couple stays together or divorces. The easiest and most often occurring situation is that the couple has some tax debt, they are both aware of it and both agree to take the necessary steps to deal with it. In these situations a simple payment plan with the Internal Revenue Service can keep both spouses in a protective status with the IRS and away from collection activity such as levies and garnishments. Things can get significantly more complicated, even for couples that are still married, when one spouse claims that they are not responsible for the debt. The IRS denies most innocent spouse claims. The “innocent” spouse has to meet very specific criteria to state a successful claim, such as duress at signing, forged signature, and other things that basically point to the fact that they were not responsible for the debt. Now, the IRS can check income records and determine whether the “innocent” spouse would have owed if they filed a Married Filing Separate return, which would make the innocent spouse claim moot. When dealing with debt from taxes the occurred in a marriage, this option is just very rarely viable. A relationship can also get tense when one spouse brings debts into a marriage. Sometimes, one spouse will have tax debt that he/she incurred pre-marriage. If the couples file a joint tax return, the IRS will seize the entire refund. Then the IRS will apply the funds to help satisfy the debt owed by only one spouse. For example, if a husband owes $5,000.00 in back taxes, any refund generated by the filing of a joint tax return, may be withheld by the IRS and applied toward tax arrearage, even if the refund is entirely attributable to the wife’s over-withholding. The IRS may consider the wife an “insured spouse,” since the IRS seized money that she solely contributed. The injured spouse then must prove that he/she has no responsibility to the debt and can request a refund of his or her allocation of the joint return refund. Injured spouse claims can also apply to other debts, such as: child or spousal support, delinquent federal student loan debt, or state income tax. Conversely, some couples file “Married Filing Separately” to ensure the injured spouse receives his/her refund. But the IRS limits certain deductions for couples filing taxes as “Married Filing Separately.” Talk to your tax professional about benefits to both options. Another situation we see here at the firm is when one spouse files for bankruptcy protection when the couple has joint tax debt. This gives protection to both spouses during the bankruptcy but causes the balances to be “mirrored” at the IRS after the bankruptcy is discharged or dismissed. Mirroring of the balances means that the joint debt is split and each spouse is individually responsible for the debt. Bankruptcy will reduce the interest and penalties due by the filing spouses; this means there will be two different balances for both parties. Additionally, debtors may discharged certain taxes during a bankruptcy; however, in most cases, there will still be tax debt after only one spouse files for bankruptcy. When that happens, the IRS will start collection activity against the non-bankrupt spouse. When a spouse in bankruptcy pays the priority tax debt in the bankruptcy and/or the balance is discharged, then only one spouse may owe taxes. These are things to consider when dealing with debt issues and whether to file bankruptcy jointly or separately. If the marriage falls apart and the couple decides to get a divorce, things with the IRS become more complicated. Not only does the jointly held debt become mirrored but the couple’s divorce decree and property settlement agreements can come into play. Divorce decree does not control collection by the IRS; the divorce decree only controls issues between the two spouses, not outside parties. If that document says the husband is completely responsible for the tax debt, but he does not do anything and the wife has to get herself into an agreement to pay the debt, she cannot argue to the IRS that she doesn’t have to pay it because of the divorce decree. If you are filing for divorce and have joint debt there a things to keep in mind. You need to clearly define who is responsible for the debt and the remedies that available to the other spouse if they are the ones who end up paying some or all of the debt. Tax debt can be a serious issue if not handled properly. It is important to understand your rights and responsibilities in reference to the debt. It is also important to understand why the tax debt occurred and prevent it from happening in the future. Additionally, if you have outstanding tax debt, the taxing agencies can garnish, levy accounts, or issue tax liens. Talk to an experienced tax professional today. Arthur Rosatti, Esq. is a Florida licensed attorney authorized to represent clients with the Internal Revenue Service and the U.S. Tax Court. He has experience negotiating with various taxing agencies on behalf of individuals and companies. His goal with their tax debt and get them into the best plan possible to manage the debt. He has experience dealing with divorce spouses dealing with their joint tax debt. The deadline to file your federal income tax return is fast approaching. Normally falling on April 15, this year it is on April 17 due to the fact that April 15 is on a Sunday and April 16 is Emancipation Day in Washington D.C., which gives everyone across the nation an extra day to file. With the deadline just days away many Americans will submit extensions to file, pushing the date the tax return is due to October 15. This is a great tool if you know you do know have all of your tax documents in time to prepare an accurate return. An extension, however, is simply for filing of your return, not paying any tax owed. If you do not pay your tax by the April deadline you may incur additional tax penalties on top of the tax owed. Failure-to-File penalties are one of the harshest tax penalties the Internal Revenue Service can issue against an individual taxpayer. The way they are calculated is as follows: 5% of the taxes you owe for each part of a month you’re late, up to a maximum of 25% of unpaid taxes. So for your 2017 taxes, if you file on April 18th you are hit with a 5% penalty. On May 18th it is another 5% until you reach your maximum of 25%, at which point it doesn’t matter how late you file you will get that 25% penalty. The other type of penalty is the Failure-to-Pay penalty. This tax penalty happens if you owe taxes after the initial filing deadline, April 17, 2018 for your 2017 taxes. The calculation for that is 5% of unpaid taxes for each part of a month you’re late, up to 25% of unpaid taxes due. There is a way to avoid this penalty if you pay 90% of your tax owed when you file an extension to file your return, you are entitled at that point to pay the remaining 10% by the extension deadline without incurring the failure to pay penalty. This penalty doesn’t seem like much but if you have a balance for a long period of time it can cause your balance to sky rocket into something you may not be in a position to handle properly. It is never a good idea to file your taxes late, but even more so if you owe. Even if you do not owe and are due a refund, it is important to file your taxes as close as to the date they are due as possible. The IRS only grants refunds for the previous three years worth of tax returns. So, before 2017 is officially due on April 17, 2018, you can get your refund if you have not filed and are entitled to it as far back as 2014. The IRS has reported that there are hundreds of millions of dollars that the tax payers are not getting back by not filing their 2014 tax return. After April 17, 2018, the IRS only distributes refund from your 2015, 2016, and 2017 returns. As a result, if you have not filed and are due a refund, please file ASAP. If you have not filed and expect to owe for 2017, please file before April 17 even if you can’t pay your total tax bill because as noted above, the failure to file penalty is more severe than the simple failure to pay penalty. If you find yourself owing year after year please speak with a tax professional regarding changing your withholding or saving money on a quarterly basis. It is always better to plan ahead with taxes than to be caught on April 14th with no game plan. If you have accumulated substantial tax debt, there are options to deal with the debt. With the new tax laws in place, withholdings have changed. Many individuals will owe less in taxes as a result of the change in laws, but some may owe more. It is very important to review your paychecks regularly. You should review your paycheck whenever there is a change in income to ensure you are not paying too much or too little in. 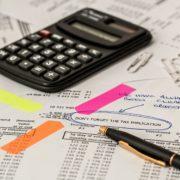 The IRS has a calculator to give you a starting point in figuring out potential tax liability. 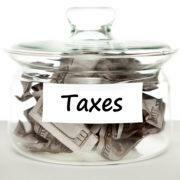 Planning for the next tax year will help avoid unnecessary tax penalties whenever possible. Arthur Rosatti, Esq. is a Florida licensed attorney authorized to represent clients with the Internal Revenue Service and the U.S. Tax Court. He has experience negotiating with various taxing agencies on behalf of individuals and companies. His goal with their tax debtand get them into the best plan possible to manage the debt. He also works with business owners to address Estimate Tax Payments and helps people get on track with their payments. Settle your tax debt for less. Pennies on the dollar. Negotiate your debt for thousands less than you owe. You owe taxes and now you are trying to figure out what to do. When reviewing options, you have probably heard these statements and guarantees in your life. Lots of TV and radio ads promise these things for people who owe back taxes. However, these promises are a lot of time empty and can just cause more headaches than they are worth. These ads are referencing Offer in Compromise (OIC), which can work for some, but not very many. While this is just hyperbole, there is some truth to the statement. The Offer in Compromise calculation is a deep dive into your financial life by the Internal Revenue Service or state taxing authority. If you own anything of value, that value will be part of your offer. Have land in a wooded area of the state stashed for a retirement getaway, well the value of that land is now part of your offer. Any artwork in your possession that may be worth more than $100, well that value is part of your offer. Have a 401(k) at your work? That is part of your offer. Starting to get the picture? While for some taxpayers it may be worthwhile to submit an offer in compromise because they rent, have a car that is older and don’t have any retirement savings. Most people have something that will increase their offer more than they would like. Additionally, the major thing people don’t realize with an OIC is that you have at the most 24 months to pay your offer off. Most think that it’s an extended payment plan and then the debt goes away. Unfortunately, that is not the case at all. Now if you are successful with your offer, the IRS still has other ways of getting more money from you. If you are due a refund for the first tax return filed after your offer is accepted, the money automatically goes to the IRS. You must file all taxes must be filed on time and owe no tax balances by the filing deadline (typically April 15th) for the next five years after your offer is accepted. If you do owe during that five year period the entire tax debt is coming back on you, minus whatever offer payments you may have made. There are certain circumstances that the IRS will consider when determining whether to grant your offer or not. These usually fall into two main categories: Doubt as to Collectability and Effective Tax Administration. These two are similar in that it basically means that there is little chance that the IRS will collect the full amount of tax due and accepting an OIC is the best way for them to get any portion of the tax debt quickly. An offer in compromise is mostly a numbers game between the IRS and the taxpayer. The IRS can request additional information regarding the tax years the debt is from and that can inflate what your offer would be as well. If you your offer ever goes over more than what you owe it will be rejected almost as soon as it lands on someone’s desk at the IRS. It is important to discuss everything that an offer in compromise encompasses with a tax professional before deciding to submit one. It is a long and complicated process that you will want to know every aspect of before jumping in. The major settlement promised to you by the ads you hear or see only apply to select individuals. Come in for a free consultation to discuss if an OIC is right for you. Arthur Rosatti, Esq. is a Florida licensed attorney authorized to represent clients with the Internal Revenue Service and the U.S. Tax Court. He has experience negotiating with various taxing agencies on behalf of individuals and companies. His goal is to help his clients ensure their tax debt is accurate and get them into the best plan possible to manage the debt. He understands an OIC is a great tool, but wants all his clients to understand the limitations of the program. It is 2017 Tax Season! We are in the midst of 2017 tax season. The tax filing season is in full swing. The Internal Revenue Service is anxiously awaiting for you to file your 2017 taxes. This year, you must file and pay your taxes by April 17, 2018. Remember, if you file for a tax extension, it is an extension to file not an extension to pay. As a result, if you do not pay all taxes due for 2017 before the filing deadline, then you will be subject to interest and penalties. Attorney Arthur Rosatti discusses the importance of getting your returns prepared as soon as possible and the new tax scams to be on the look for. Arthur is an attorney at Ashley F. Morgan Law, PC. He focuses his practice on helping our client manage their tax debt. Similarly, he works with the IRS and state taxing agencies (such as the Commonwealth of Virginia) to negotiate payment plans, settle debts, or find other available relief. In you have tax debt that you cannot pay right away or owe back taxes, contact our office and we can help guide you through your options. Many people use their tax refund to pay for necessary expenses. For some, the money allows for repairs on their home; for others the refund allows them to pay off some debt or afford medical or dental procedures. But in general, it is money you have been waiting for all year. When you are struggling financially, this extra money can mean a lot. As a result, many individuals ask us whether they will be able to keep their tax refund in bankruptcy. The bankruptcy court sees a tax refund as a savings account. You pay into the federal government a little every month and at the end of the year it is waiting there for you to withdraw. This refund affects different chapters of bankruptcy, in different ways. If you file a Chapter 7 bankruptcy in the later part of the year or during tax season, this money has had a lot of time to accumulate. If you are due a tax refund and file bankruptcy, you can only keep it, if you are able to exempt or protect those funds. In Virginia, there are exemptions that can protect child credits and earned income credits. Any additional part of the refund must be protected under Virginia’s wildcard exemption. This wildcard exemption is $5,000.00 lifetime protection to be use on cash or cash like assets. This means if you have filed bankruptcy previously or have other cash-like assets, you may have less of the wildcard to apply toward your tax refund. If you want to protect your tax refund in bankruptcy, talk to an experienced bankruptcy lawyer. A bankruptcy attorney will be able to review your situation, discuss any potential issues and figure out the best plan for you. Sometimes this means waiting until the refund is received and used on normal expenses. But, without an attorney that understands bankruptcy law, you will not be able to make an educated decision. Now, a tax refund also plays a role in a Chapter 13. If you are in a 100% plan, which means you are fully paying back all allowed claims, you can keep you tax refund every year during your plan. If your bankruptcy plan pays creditors any less than 100%, the trustee may require that you turn over the refund and he/she will disburse the funds to your creditors. Additionally, your attorney may be able to adjust your budget to reflect the refund over the course of a year. This would mean paying slightly more each month, but being allowed to keep the tax refund. It is important to have an experienced bankruptcy attorney that can review and understand your situation. Ashley F. Morgan, Esq. is a Northern Virginia Bankruptcy Attorney with an office in Herndon, VA. She helps individuals in Herndon, Reston, Centreville, Fairfax Sterling, Chantilly, Woodbridge, Manasass and the surrounding areas file bankruptcy. She understands the importance that a tax refund can play in someone’s finances. Her goal is for her clients to fully understand all their options and make the best decision for their circumstances.